Publisher: Random House Publishing Group, Westminster, MD, U.S.A.
&#x201c;A well-crafted page-turner that addresses the most important issue of our time. It will keep you reading well into the night.&#x201d;&#x2013;Vince Flynn<br /><br />A New York Times reporter has drawn upon his experience covering the occupation in Iraq to write the most gripping and chillingly plausible thriller of the post-9/11 era. 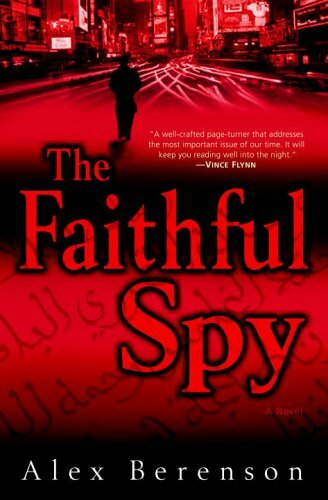 Alex Berenson&#x2019;s debut novel of suspense, The Faithful Spy, is a sharp, explosive story that takes readers inside the war on terror as fiction has never done before.<br /><br />John Wells is the only American CIA agent ever to penetrate al Qaeda. Since before the attacks in 2001, Wells has been hiding in the mountains of Pakistan, biding his time, building his cover.<br />Now, on the orders of Omar Khadri&#x2013;the malicious mastermind plotting more al Qaeda strikes on America&#x2013;Wells is coming home. Neither Khadri nor Jennifer Exley, Wells&#x2019;s superior at Langley, knows quite what to expect.<br /><br />For Wells has changed during his years in the mountains. He has become a Muslim. He finds the United States decadent and shallow. Yet he hates al Qaeda and the way it uses Islam to justify its murderous assaults on innocents. He is a man alone, and the CIA&#x2013;still reeling from its failure to predict 9/11 or find weapons of mass destruction in Iraq&#x2013;does not know whether to trust him. Among his handlers at Langley, only Exley believes in him, and even she sometimes wonders. And so the agency freezes Wells out, preferring to rely on high-tech means for gathering intelligence.<br /><br />But as that strategy fails and Khadri moves closer to unleashing the most devastating terrorist attack in history, Wells and Exley must somehow find a way to stop him, with or without the government&#x2019;s consent.<br /><br />From secret American military bases where suspects are held and &#x201c;interrogated&#x201d; to basement laboratories where al Qaeda&#x2019;s scientists grow the deadliest of biological weapons, The Faithful Spy is a riveting and cautionary tale, as affecting in its personal stories as it is sophisticated in its political details. The first spy thriller to grapple squarely with the complexities and terrors of today&#x2019;s world, this is a uniquely exciting and unnerving novel by an author who truly knows his territory.